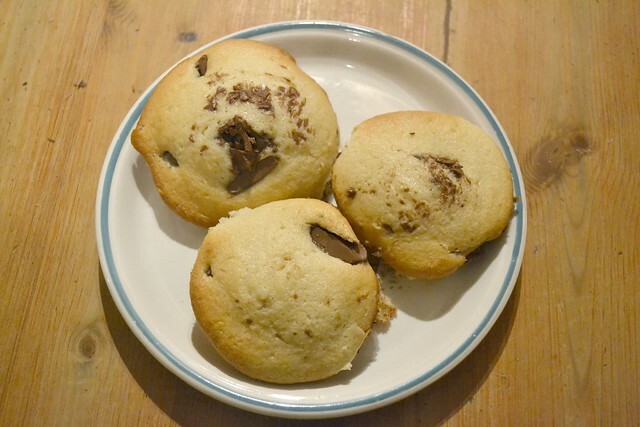 I made these delicious chocolate chip cupcakes somedays ago and it was such a success that I couldnt keep the recipe for myself. Mix the eggs with the sugar in a large bowl. 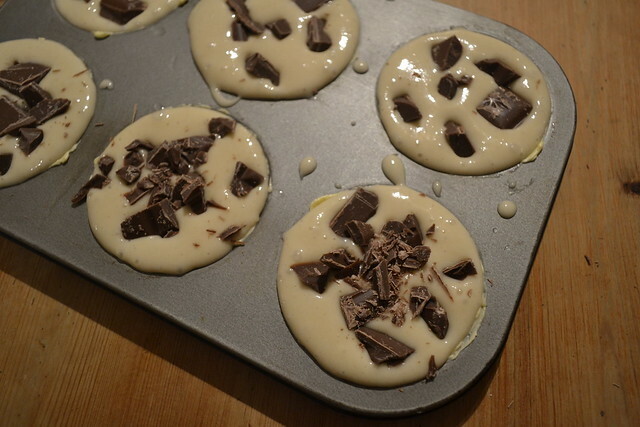 Slowly add the flour, baking powder, milk and vanilla extract. 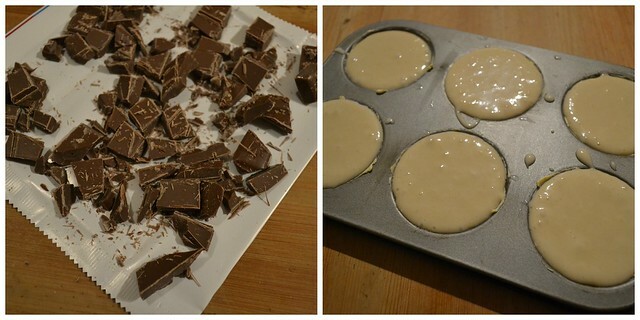 Mix thoroughly and then stir the chocolate pieces in the mixture. Grease the cups with butter and share the mixture between them. Be careful not to overfill them. Bake for 20 mins until risen and golden. 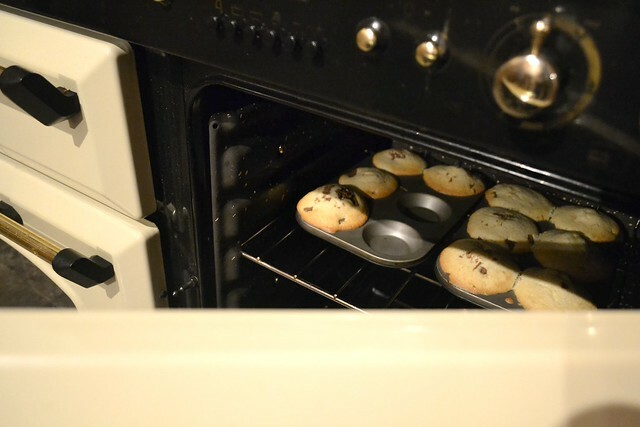 Let them cool and then remove from the cups carefully with a knife.